Originally released in 1985, Day-to-Night Barbie doll celebrates the women's workplace revolution of that era. This faithful reproduction includes her famous soft pink power suit that transforms into a shirred skirt for beautiful evening ensemble. 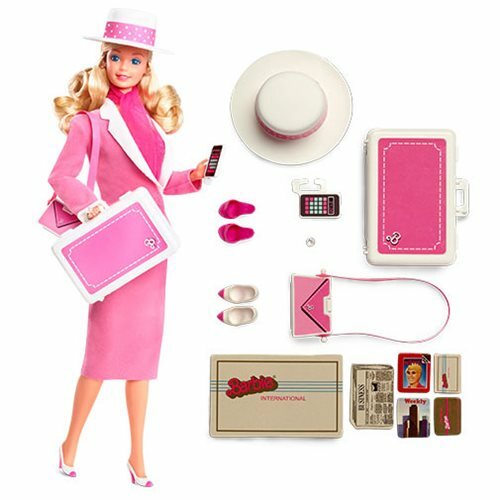 Accessories include a chic hat, briefcase, calculator, two pairs of shoes and purse. 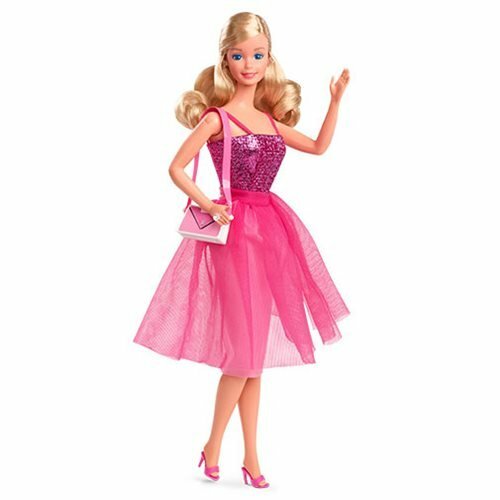 This Barbie Day to Night Retro Reproduction Doll includes a doll stand and certificate of authenticity.